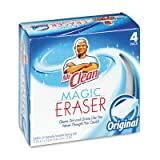 The Mr. Clean Magic eraser was the first one to come out as a magic sponge that could lift even dried on cool-aid from your counter, permanent markers are like pencils to this stuff, and it's uses are so broad and wide, it's like the last little sponge you'd ever need (to keep replacing)! What really blew my mind is "how" it works. I had no idea until I did some research and found all the information I needed to write this article. The mystery is now solved- it's nothing chemically powerful, in fact it's not about chemicals at all, this is why kids can handle them without worry of toxins (but don't swallow it, it will get stuck in your gastrointestinal track). Let's take a moment to solve this mystery. 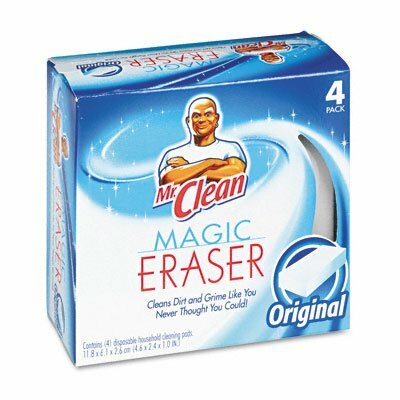 On the market since 2003, the magic eraser products have marveled many. This eraser like sponge like cleaning device seems to lift cool-aid like magic, even a permanent marker that's been deeply embedded in a wall or table comes off with almost no effort. You don't have to scrape the eraser over the area hard, the power is actually in using softer strokes- this is due to the molecular design of the magic eraser material. We'll get to that in a moment. Suffice it to say, the eraser product came out first by the Mr. Clean brand and it marveled us so completely, it wouldn't be long before the "clones" came. Any product that works is bound to have imitators, although often the imitation brands don't always come through do they?! In this case, however, you'll be happy to know that the imitators are using the exact same ingredients- or should I say ingredient, and what you may be surprised to find out, is that there is no chemical cleaners in this eraser "sponge". It's entire magic is derived by it's very construct- it's very molecular design. Imitators only difference is that they are often attached to a regular sponge in a thin strip (like the scratch pad on most sponges), where by the name brand magic eraser is 100% melamine foam. You Save Money Buying In Bulk On Amazon! The real secret behind the magic eraser and all the "copies" (technically it's not a generic or fake eraser, it's just a lot less actual eraser on it) is Melamine resin/foam. On the generic or dollar store brands you get a 3/4 inch sponge and about a 1/8th inch melamine foam piece. They do this because perception is that thin isn't useful and the sponge can be used anyway to wipe up stuff you don't want to waste the magic eraser on (because it gets used up pretty fast if your using it a lot). It's also a necessity because to effectively use the Magic Eraser you need to get a grip on it. The sponge also makes it easier not to press so hard- acting like a shock. you soak in water and they grow, only this is more like a sponge. The expansion is powerful because it creates spaces between the fibers of the melamine resin foam (the magic eraser part). Like a sponge, the water also tends to dissolve or loosen up the dirt or what you want to remove from the surface, but the Melamine foam can dig into the pores a much deeper clean. 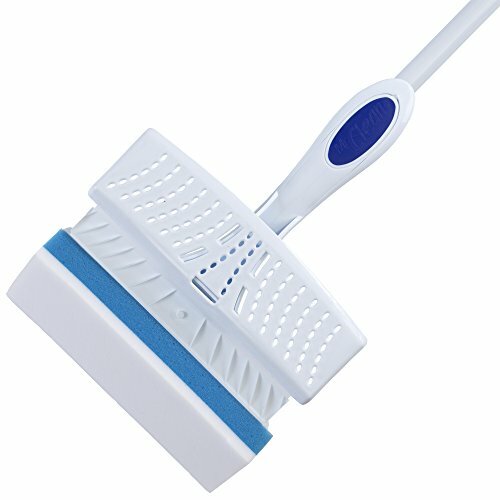 With normal sponges dirt can often be dissolved and "absorbed" up by the sponge, but if the dirt or other ingredient can't easily be dissolved the magic eraser comes to the rescue with a longer, harder, more efficient scratcher that can dig deeper into the pores of your counter top (or any surface). Dirt and other things get caught between the pores in the surface area and tend to fall too deep for a normal sponge to get to and extract. This is what is known as either a hard to remove "stain" or just a 'stain' meaning we've given up trying to remove it. They Just Started Offering A Mop! The standard "green" sponge is also not abrasive enough (or the abrasive part of the scratch pad/scratcher part of a sponge scratcher combo, is abrasive enough but the fibers are simply too big to dig down into the microscopic pores in the surface. You ever notice how when something is on the surface you don't scrub as hard to get it off but a stain you'll practically destroy the counter to remove it? Melamine makes this a thing of the past. The result of trying to scrub harder with a normal sponge is that the surface area is scraped of microscopically until the surface is damaged (but Yahtzee you got the stain off!). Often chemicals are used to loosen/dissolve the dirt that's hard to dissolve, but this leaves a chemical residue on the surface and can also be hard on the surface or protective coat. Using chemicals on walls is also just as bad, if not worse. The Magic Eraser again can assist and come to the rescue. The better way to go is the practically instant removing properties of a melamine sponge (magic eraser). The Melamine pad can dig deep without scratching off the surface. If you scrub too hard you could remove the top layer of anything. One benefit is you can scrub lighter, save your counter, and still get the stain out. This is, after all, powered by the scratching power of the fibers, but since it works so well and can dig so deep into the pores, it won't likely harm things you clean with it. Just keep the strokes fast, even, and soft! If you want to let your youngster crayon on the wall (a specific wall) you can add 3-4 coats of paint to that wall and let it dry. The reason for this is that cleaning the crayon off once is easy, twice or 3 times too- but after a while it will take it's toll on the paint being removed over time. Adding more coats helps to preserve the "canvas". If your toddler is biting on the sponge (and doesn't chew or swallow any of it) they will be fine- although we recommend keeping this out of the reach of small children, but definitely put it in the hands of your bigger kids, they will absolutely marvel in the seemingly magical way it removes things from walls, floors, dishes, glass, and more. It can dig down and scrape out the dirt, cool-aid, oil etc... and if the eraser is wet it will absorb them so you can rinse and squeeze out the dirt like any sponge. If the eraser is dark or dirty, rinse it off! It works better when it's white/cleaner. 3. It simply works and works well, every time. You can clean an entire bathroom with one or two of these and get it sparkling clean! You may want to sanitize it with bleach wipes or something but the eraser gets the toughest grime out of the shower and doors, and is just amazing at removing what was once impossible, even with chemicals. Melamine isn't a recent discovery, in fact it's history dates back over 20 years. The company that actually invented the core material is BASF (the company in the above video). 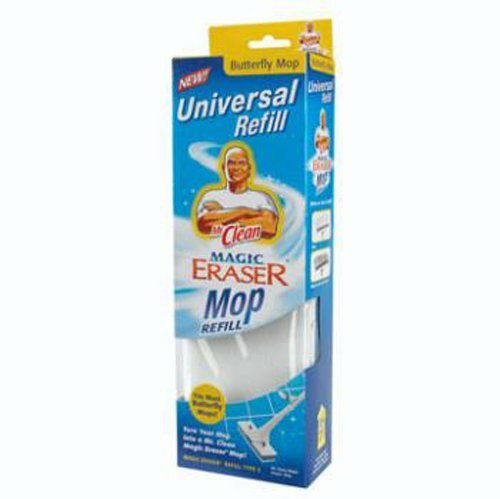 It's not completely clear how Mr. Clean figured this out as a cleaning material but since the actual ingredient that makes it all work wasn't invented by Mr. Clean, other companies can readily get it and cut it into squares too (all they did really!) then market it as an eraser too! It's been used in a variety of different applications including sound insulation, sound proofing a room, studio, booth, and home, and even temperature insulation for hot and cold temperatures respectively. Although this has been a phenomenal insulation and sound proofing product for 20 years (being used in cars, homes, etc...), it wasn't until 2003 that developers came to realize, likely by accident, that this material was "magical" at stain removal as well! melamine resin/foam erasers are great, they work and work very well. They may work a bit too well for some surfaces so be careful. 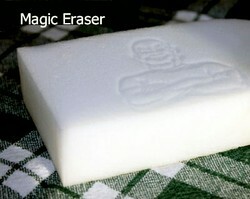 Since one of the main mechanisms of the eraser is it's ability to micro-sand (without damage it can scrape the dirt out of the pores) the surface and pull the caked on dirt or other ingredient loose so the water can bring it to the surface and trap it between the fibers, this means there is a potential for over scratching a surface or losing a layer of a surface (micro-layer). Walls are generally ok, they tend to have thick coats of paint on them and unless your scrubbing hard (again not necessary) mostly just the dirt will come off. The trick is to wipe in circles and alternate a lot so your getting the fibers into every nook and cranny of the surface where the dirt can hide or stow away! The eraser allows you to work smarter not harder! Always do a test section to see how it's going to behave, and do not use this on car paint- you will scratch and damage the protective coating which may expose the raw paint to oxygen and may cause fading or rust. Several years back, there were rumors spreading on the web that Melamine foam/resin products had the potential to cause serious health problems. This was based on the misunderstanding about the listed ingredients of the foam eraser. One ingredient: "formaldehyde-melamine-sodium bisulfite copolymer" was thought to contain "formaldehyde" a serious health risk, but the reality is this just contains "formaldehyde" in it's chemical name- but no formaldehyde exists in the product. 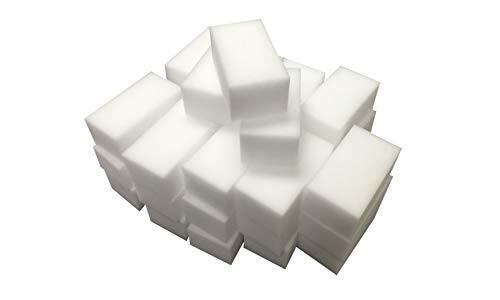 The Magic Eraser's core ingredient Melamine foam/resin is formed a bit different from most other cleaning products, sponges specifically, something it seems to mimic- but is nothing like at the molecular level. This product only needs water to activate it. (grow the fibers to create spaces and help "scoop" up the dirt the fibers scrape off). 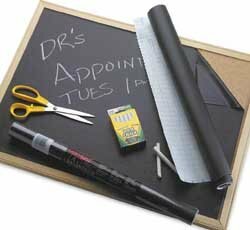 Unlike sponges with scratchers, the melamine foam can get into the tightest pores in the surface and can pull it out, with very minimal pressure on the eraser itself. In fact if you put too much pressure it may not work, and worse, this just wears it out like using a pencil too hard can dull the tip and make it less effective less surgical. Clearing the dirt from the eraser's spaces (rinsing it off in warm water) helps make it last longer because with trapped dirt the fibers are worn out faster and picking up dirt becomes less effective. Conversely over 'squeezing' the eraser can also break down it's integrity so be gentle when you ring it out. No hard fist ringing! On the outside, the melamine foam products look and feel, even act, like a sponge. This is due to the open cell foam structure. The 'cured melamine resin' material cures into a strong foam. The fibers are long giving it more pliability but as soft as this cleaning tool feels, it's incredibly strong due to it's fiber structure design. It's micro-structure becomes incredibly hard giving it that fine sandpaper effect that can only be witnessed by the incredibly fast removal of stains. A great invention that works and leaves nothing to throw in the trash or recycle with the exception of the packaging. Your welcome, yep it's nothing but a high tech scratcher but that doesn't scrape, it just gets into the pores and pulls the dirt into the sponge (the water causes this). 100% non toxic! Your welcome :) Thanks for reading! Always wondered how these worked. Now I know! Thanks for the info. I never knew any of this. Thank you for sharing. This is a great Wizzley. Now I know why that sponge works so well. :) yep they fall apart i scrubbed too hard, the cell is partially open so a good hard scrub can rip it to shreds, ironically it's hard as glass! I think they sell these everywhere, if nothing else you can point them to this page and tell them to order them from Amazon, I have plenty of links/images they can click into to purchase. The best way to buy these is in bulk i.e. 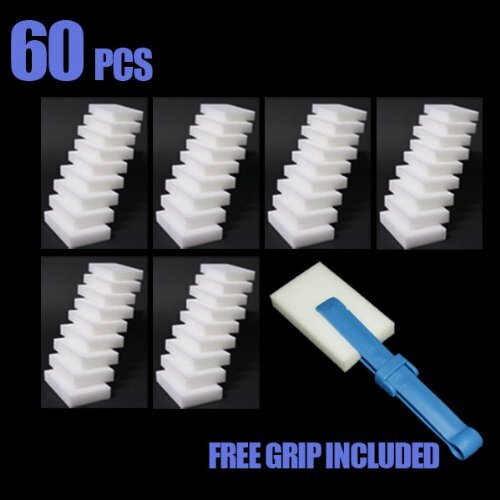 8-10 sets, you get them for roughly 1.00 each and that's a dam good price, the dollar store versions are very thin on a thick sponge, the magic eraser versions are 100% melamine (eraser part) so this is a great buy. They will shop anywhere from AZ. Thanks for reading! This is a fascinating read. I don't know if they sell this product in Israel, but glad to know it really works so if I or someone I know goes overseas I can ask them to bring it back.